The Toi Iho artists below are established, experienced Maori artists who have high quality creative expressions and who epitomise the best of our culture. We are proud to promote and affiliate the Toi Iho brand with the artists listed. Te Ara Hoe who are new newly assessed and accredited artists. There is only one trademark, Silver and Kokowai Red. Ngapera (Keri) Kaa Keri (Ngati Porou, Ngati Kahungunu). Author in Te Reo Maori. Whirimako Black (Ngati Tuhoe, Ngati Tuwharetoa, Ngati Ranginui, Te Whakatohea, Te Whanau–a-Apanui). Hinewehi Mohi (Ngati Kahungunu, Ngai Tuhoe). Rachel House (Ngai Tahu, Ngāti Mutunga). Actor, Stage and Screen Director. Jim Moriarty (Ngāti Toa, Ngāti Koata, Ngāti Kahungunu). Actor, theatre director. Temuera Morrison (Te Arawa). Actor. Rawiri Paratene (Ngapuhi), Actor. Director. Writer. Nancy Brunning (Ngāti Raukawa, Ngāi Tūhoe). Actor. Director. Hiwirori Maynard (Rongowhakaata). Kapa haka. Blane Te Rito (Ngati Kahungunu and Ngati Wairoa). Carver. 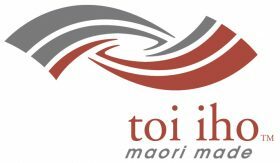 Toi Te Rito Maihi (Nga Ipu, Ngai Te Apatu o Ngati Kahungunu, Nga hao o Taitokerau). Weaver. Painter. Visual artist. TE ARA HOE – ACCREDITED category to be established in 2015- ‘Warrior artists’ assessed on application. Criteria: artist must be established with a substantial body of high quality work and well known nationally. Chris Bryant-Toi (Ngāti Porou). Visual Artist. Sculptor. Art Educator. Writer. Curator. Andrea Hopkins (Tainui, Pare Hauraki). Visual Artist. Lisa Tamati. (Te Atiawa, Ngati Raukawa). Goldsmith, jewellery.